Hello lovelies! I'm back with yet another polish from OPI's Hello Kitty collection. I've been so impressed with each one I've tried so far, and lids are so cute! Today I have the yellow, 'My Twin Mimmy', to share. 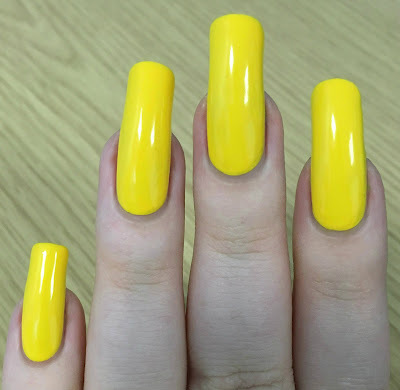 I'm a big yellow polish lover so I have no idea why it took me so long to get my hands on it. As always, read on for swatches and more info! 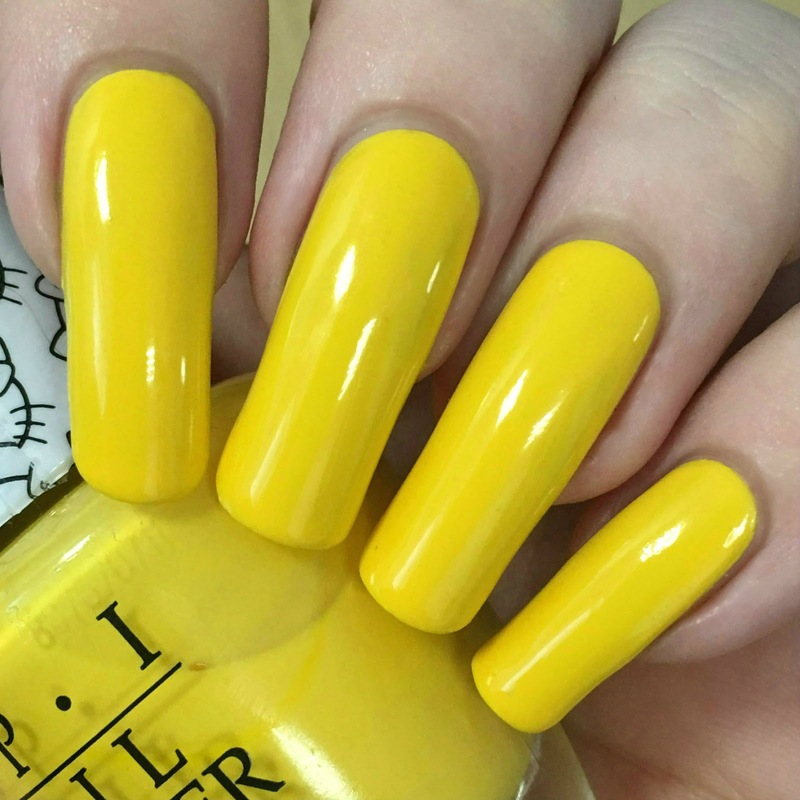 'My Twin Mimmy' is a bright sunshine yellow creme. The formula was super smooth and easy to apply, although rather streaky. There were still some slight streaks after three coats, but not enough to justify a fourth. Having said that, it was very self levelling and a lot of the streaks evened themselves out as it dried. Below is three coats and topcoat. What do you think - are you a yellow fan? I definitely am and this is a gorgeous rich shade, and it's so cheerful! I am a bit disappointed in the streakiness, but that is to be expected from a yellow. I think that it's easily worth the three coats. I still love it! Thank you to the lovely Chiara (@mrs.stirland23) for picking this up for me!